At the University of Maryland and Rutgers University, Michael studied psychology, sociology and business. Born in Brooklyn and raised in New Jersey, Michael Sandak has spent virtually his entire life in and around New York City. His unsurpassed market knowledge and dedication to his clients have resulted in him being named the preferred broker for several large international companies and enabled him to grow a loyal and diverse customer base. His diverse clientele ranges from young professionals to celebrity entertainers, C-Suite executives of Fortune 500 companies and the CFOs of two major sports franchises. 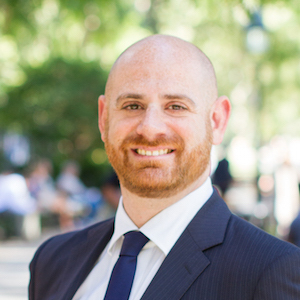 Prior to joining Compass, Michael spent 10 years at two leading Manhattan real estate firms, where his award-winning Sandak Team was consistently recognized on the firms' monthly top producers lists. By listening carefully to his clients’ wants and needs and utilizing his extensive market knowledge and experience, Michael is able to maximize the efficiency of each transaction and achieve the best results for his clients. The strong relationships that he has built within the real estate industry also enable him to capitalize on unique opportunities for his clients. Due to the top-notch service that he provides, the majority of Michael’s new business comes from repeat clients and referrals. Prior to real estate, Michael worked in the music industry, as a DJ, and even as a tennis pro at a local country club. He has worked with individuals from all walks of life, which has given him a keen interest in people and a greater understanding of the professionalism and results that clients expect. At the University of Maryland and Rutgers University, Michael studied psychology, sociology and business. Each and every client is important to Michael. Whether you are a buyer, seller, investor, landlord or tenant, Michael and his team can assist you with all of your real estate needs. Contact him today for a consultation.